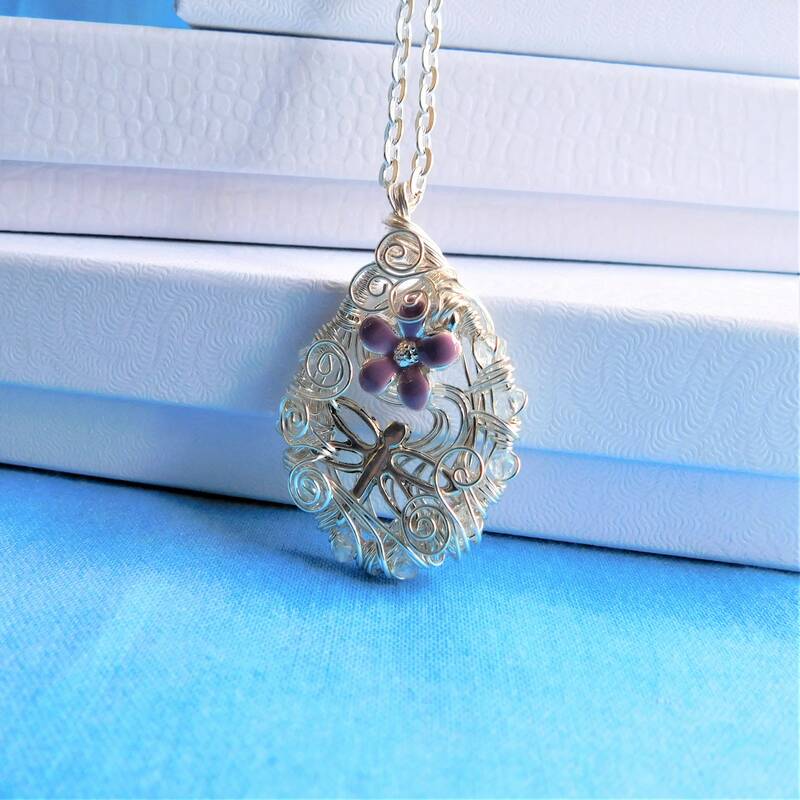 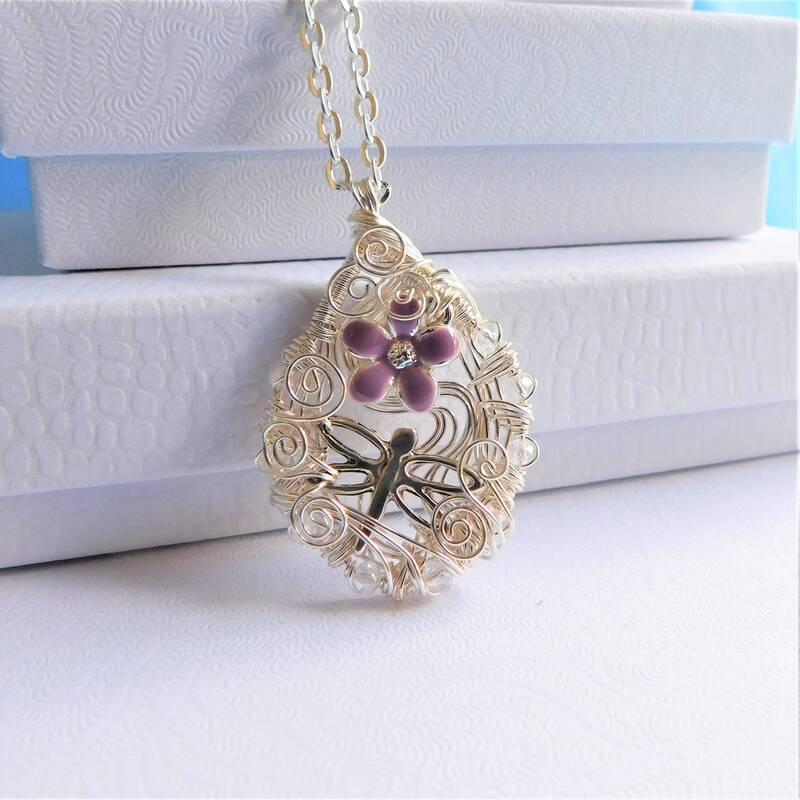 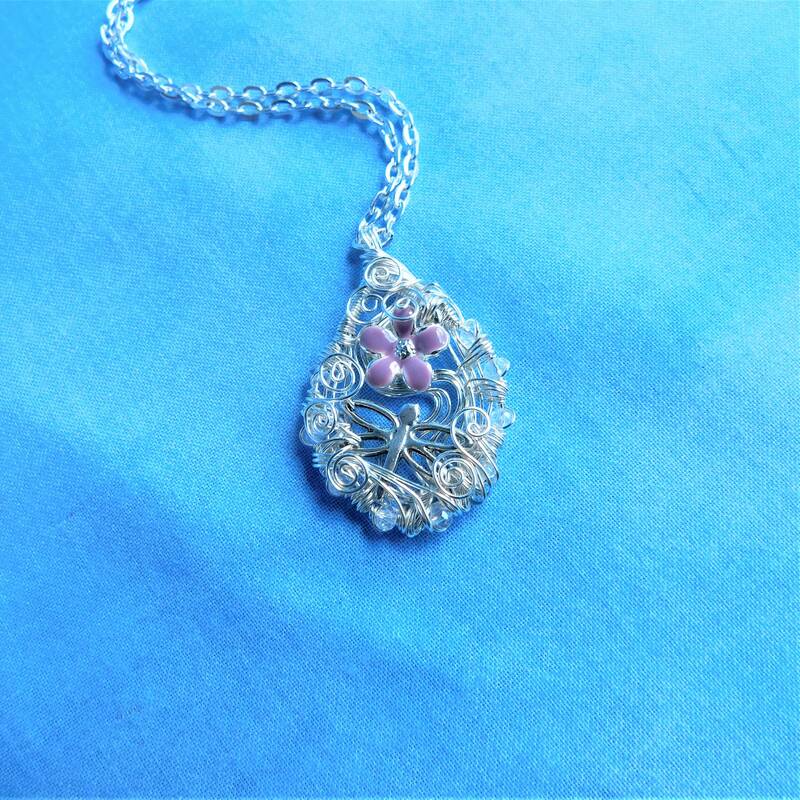 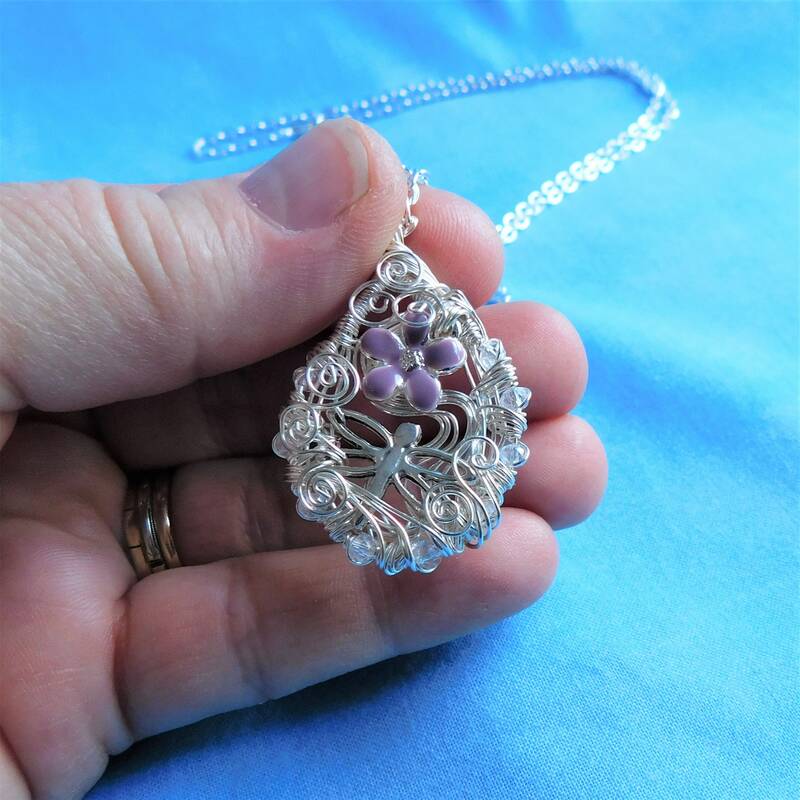 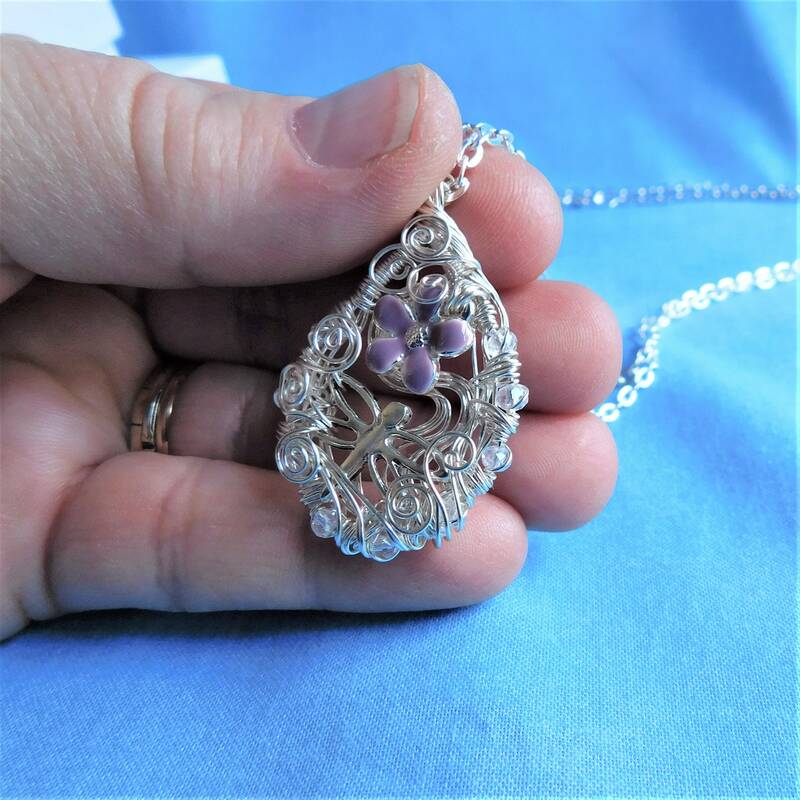 This is a hand sculpted oval pendant that incorporates a small dragonfly hovering near a purple enameled metal flower. 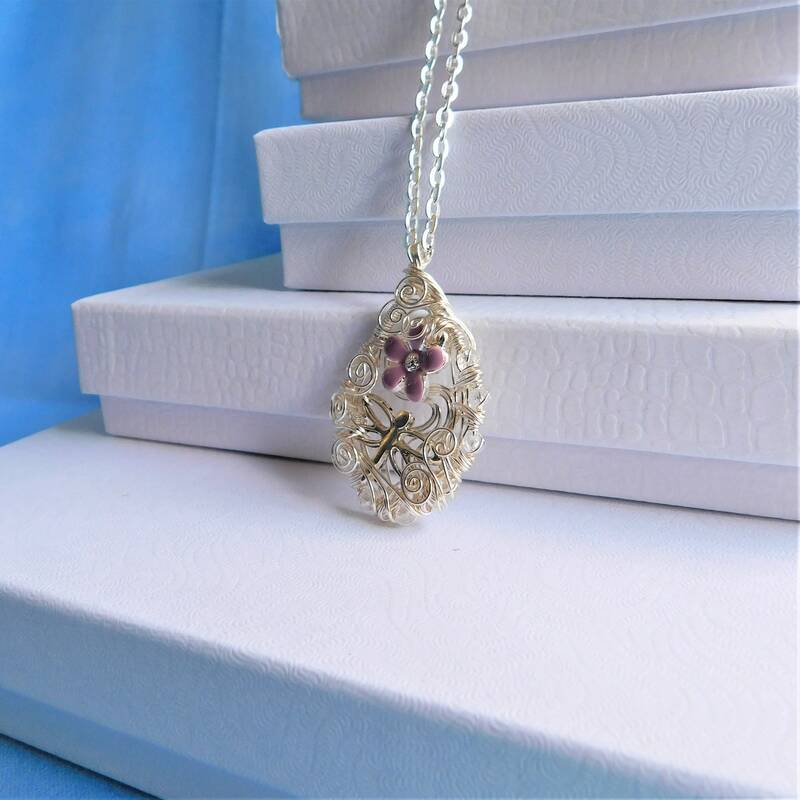 The frame of the pendant is meticulously woven with non tarnish fine silver over copper wire, incorporating tiny clear crystals, creating a bit if flash around the edge. 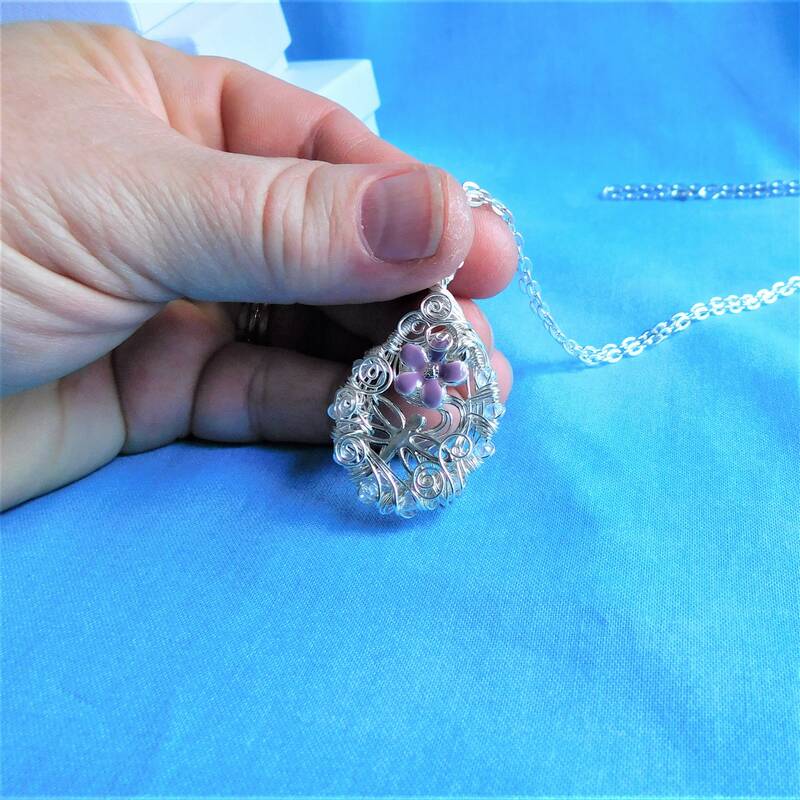 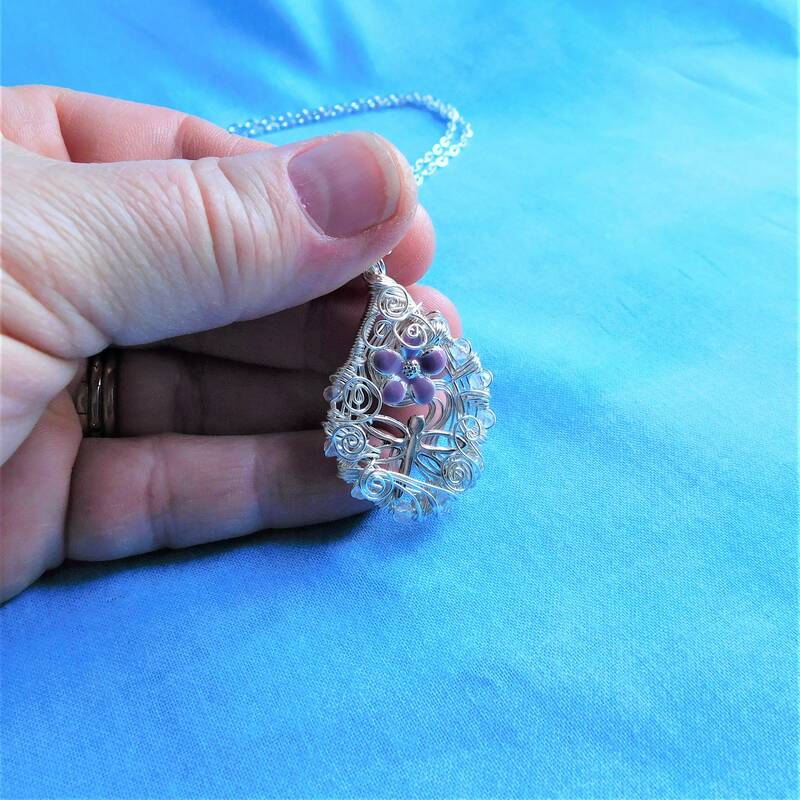 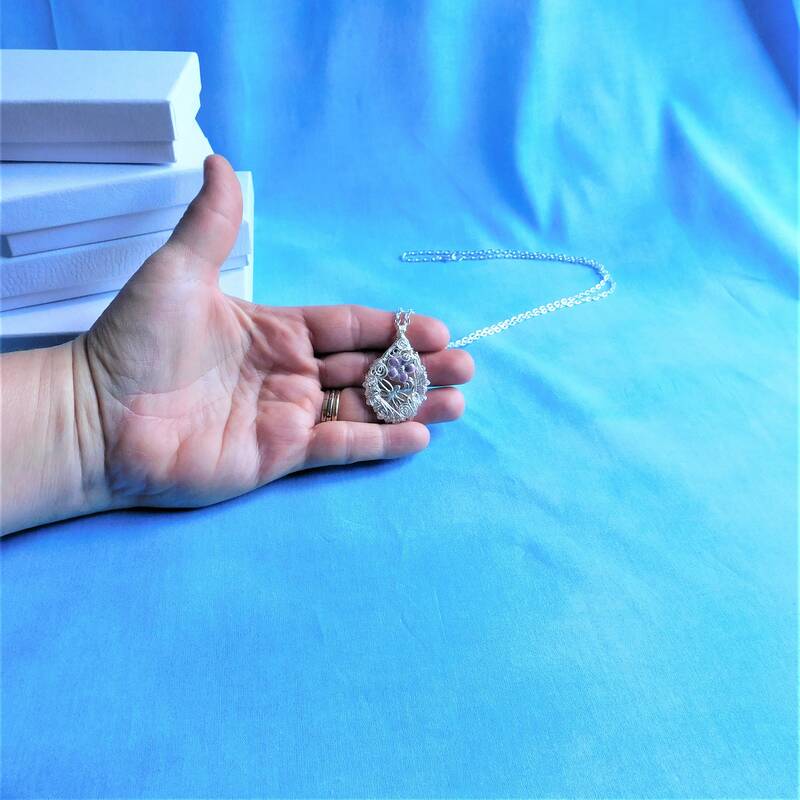 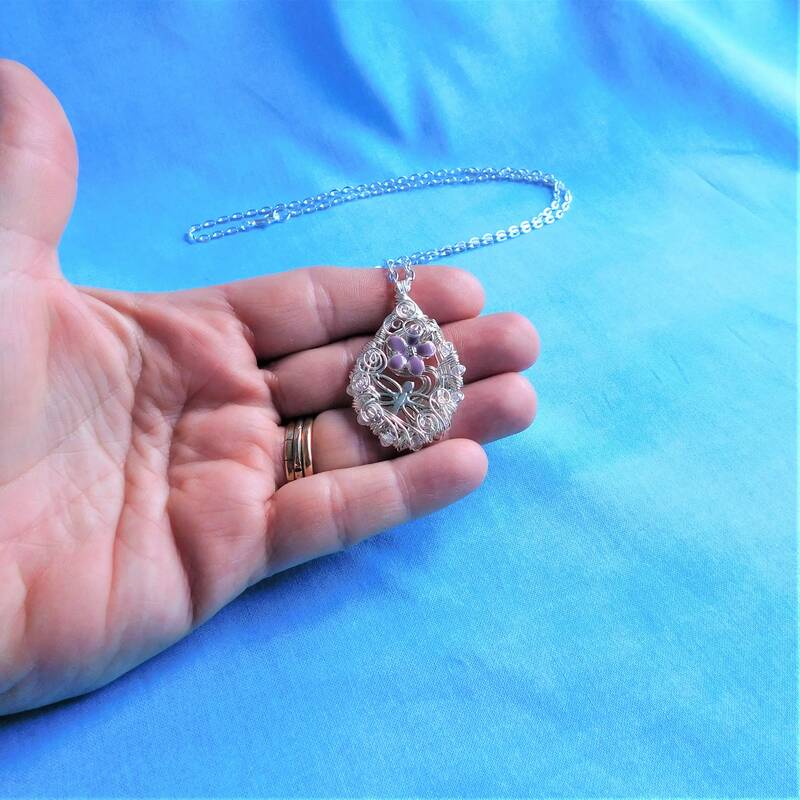 The entire pendant measures 1 1/4 inches by 1 inch and comes with a FREE coordinating chain with lobster claw clasp, measured to your preferred length.